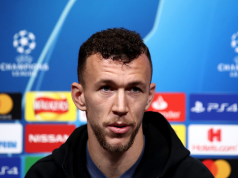 Djene Dakonam Ortega, usually referred to as simply Djene, is a name we’re all likely to hear a whole lot more of between now and the summer transfer window. Today’s Marca links Leicester City, Everton and Arsenal, but other clubs have been linked previously and will be again. The central defender has been an important figure for Getafe this season as the Spanish club surprise La Liga. 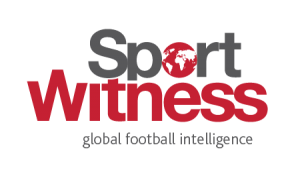 Getafe are currently fourth in La Liga, which is nosebleed territory for them, and a big part of their success is defence. Conceding 24 goals, only one team in the whole Spanish top flight have conceded less… Atletico Madrid. Marca report that ‘Leicester, Everton, Arsenal’ follow the 27 year old closely. Unai Emery has been to watch him personally, in the recent 0-0 draw against Valencia, with Everton and Leicester ‘waiting to make another attempt’ in the summer market. 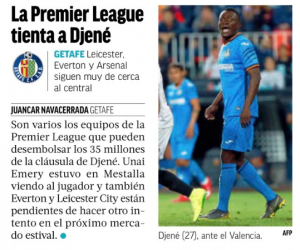 In July 2018, we covered claims that Leicester were preparing to make a €28m offer for the player, and Getafe are probably happy the transfer didn’t happen. 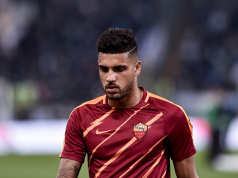 It’s thought Djene’s €35m clause wouldn’t be an issue for the Foxes, Toffees or Gunners.